Exciting New Projects are in the Works! We have rented farmland! 10 hectares have been rented from a nearby farm, and now that rainy season is starting we are getting ready to plant our own crops! In early December we will plant maize, in order to harvest in August of next year! This is an exciting way for Amani to have more stability and autonomy, and hopefully the yield will be high so we can sell the extra food in order to buy some of our other necessities! 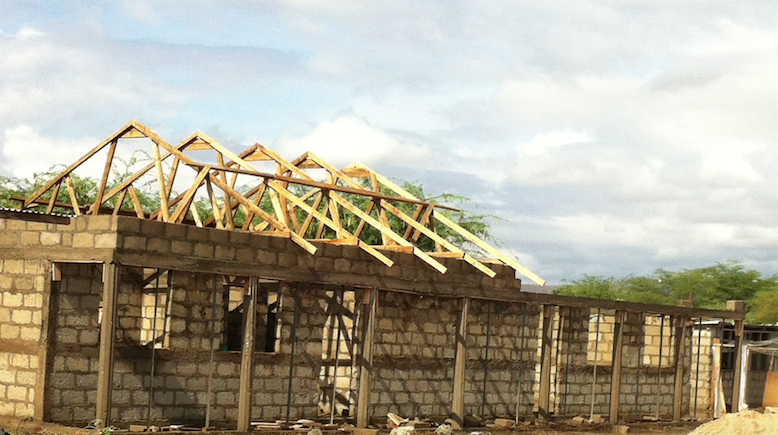 Construction has begun on a second dormitory! Space is very tight with all of the children sleeping in one dormitory, and through the help of dedicated sponsors from Italy, we have started construction on a second! The picture below shows how far it has already come! These are both ongoing projects, and the dormitory in particular still needs more sponsors to be completed- if you would like to be a part of either of these endeavors, please let us know!